Not that we really ought to be taking Hot Tub Time Machine 2’s word on anything, but according to Uproxx it does make a prediction on who will fill Jon Stewart’s giggly, sardonic shoes when he leaves The Daily Show anchor’s desk later this year. 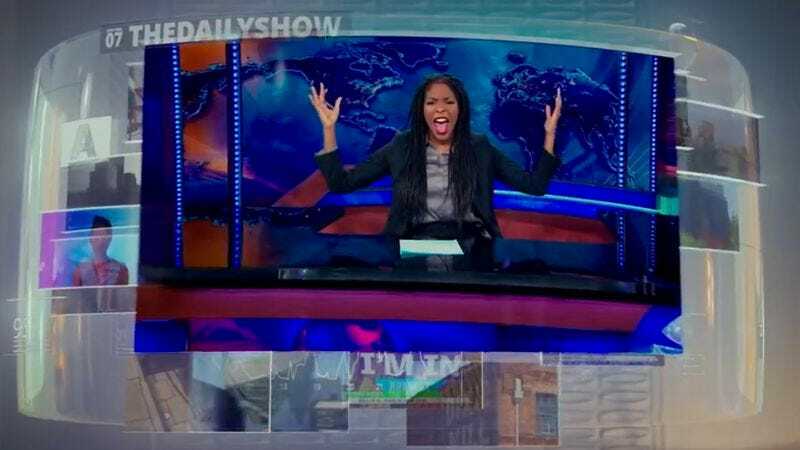 According to the movie, the show will soon be known as The Daily Show With Jessica Williams, a position she will keep until at least March of 2025. If this is a coincidence, it’s certainly a timely one, and now that we’re living in a world where Kanye West and Taylor Swift are working together anything is possible, including Rob Corddry knowing something the rest of us don’t. No offense to Williams—we’re sure she would do a great job—but hopefully it is just a coincidence and Hot Tub Time Machine 2 is wrong, simply because we don’t want to admit that a movie featuring hot tub fart jokes is right.